Internal resistance has a current source. It appears due to the fact that there are forces that are opposed to outside forces that return charges on a pole of power in spite of Coulomb forces. By their nature they resemble the friction force. To calculate the internal resistance using Ohm's law for the complete chain. Find out the electromotive force of the power source (EMF). Is usually indicated in the source or documentation. If not, measure it yourself. To do this, take the tester, set it to measure voltage. Do make sure that it has a high resistance. Prisoedinimsa the tester to the terminals of the current source. It will show the value as close as possible to the EMF because a current flowing through it will be negligible. Then connect to the power supply adequate to the consumer, which is for the voltage that is generated by the source. For example, if you need to calculate the internal resistance of the battery, and connect it to the bulb 3.5 volt, or the corresponding resistor, not a household iron. Conversely, when measuring the internal resistance of a powerful generator, connect to a corresponding load. Not including the source, measure the resistance of the consumer, measure it with tester, switched to the operating mode of the ohmmeter. If the tester does not work in ohmmeter mode, to do otherwise. Connect the consumer to the source of current. Switch on the measuring device in a mode of operation of ammeter to measure current, and switch it in series to the consumer and the source. Measure the current flowing across the network in amperes. Because all devices are connected in series, the current will be the same throughout the circuit. Then measure the voltage drop on the consumer. 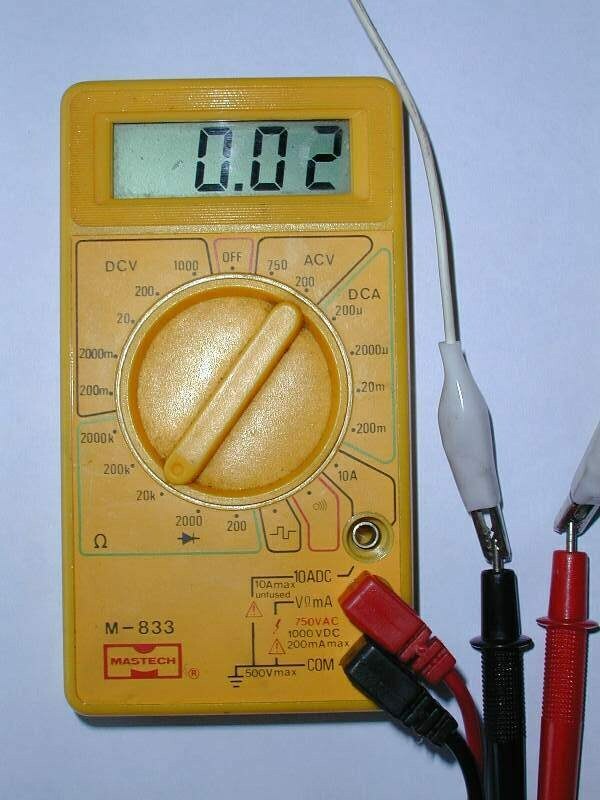 To do this, switch the tester to measure the voltage in volts. Connect it in parallel to the consumer. Find out the voltage drop on the consumer. Find the resistance R by dividing the voltage U and the current I (R=U/I). The result is in ohms. Calculate the internal resistance of the current source r, dividing the EMF on the current in the circuit I, and subtracting from the result the resistance of the consumer R (R=EMF/I-R). The result is in ohms.